AINSE (Hands), SARAH (Montour; Maxwell; Willson (Wilson)), trader; b. possibly as early as 1728 in the Thirteen Colonies or the Indian territory to the west; d. c. 1823 in Amherstburg, Upper Canada. Trader, diplomatic courier, and vocal champion of her own legal rights, Sarah Ainse was well known around Detroit (Mich.) and the Western District of Upper Canada in the late 18th and early 19th centuries. Probably an Oneida, although she once claimed to be a Shawnee, she had been brought up on the Susquehanna River. Her exact name is not known but there is speculation that it may have been Hance, a name common among the Six Nations. She sometimes used her nickname, Sally. At 17 she became the second wife of Andrew (Henry) Montour, an Indian agent and interpreter, and lived with him in what is now Ohio, Pennsylvania, and New York. He fell into debt, perhaps as a result of her extravagance, and in the early 1750s he nearly went to prison. In 1755 or 1756 the family was split. Most of the children were placed with people in Philadelphia. Montour left Sarah and their son Nicholas*, who was baptized in Albany, N.Y., on 31 Oct. 1756, with her relations the Oneidas near the Mohawk River. Soon afterwards they gave her land near Fort Stanwix (Rome, N.Y.). Here she had become a trader by 1759. Within seven years she had expanded her activities westward to the north shore of Lake Erie and it seems she was trading to Michilimackinac (Mackinaw City, Mich.) by 1767. Because of the similarity of names it has often been thought that she was married to Joseph-Louis Ainsse*, the Michilimackinac interpreter, but it appears that when she was there she lived, for a while at least, with trader William Maxwell. During the American revolution she moved to the Detroit area. Thereafter she was rarely called Montour and was most usually known as Ainse. Between 1775 and 1785 Sarah Ainse was an active trader in the Western District. In 1780, according to a list made by commandant Arent Schuyler DePeyster, two bateau loads of the merchandise ordered by the merchants of Detroit belonged to her. She accumulated large debts with merchants William Macomb, John Askin*, and Montague Tremblay. In 1781 her account with Tremblay was for £2,620, in 1783 she did business with Askin to the extent of almost £3,000, and in 1787 her account with Angus Mackintosh was for £685. She had become a person of property, owning two houses at Detroit, and the 1779 census records that she owned flour, cattle, horses, and four slaves. In May 1787 Sarah Ainse moved to the La Tranche (Thames) River and built a dwelling on the part of her property that later became lot 10, concession 1 of Dover East (Dover) Township. In 1788 she completed the purchase from local Indians of a 150-square-mile property which ran from the mouth of the river up to the forks where the city of Chatham now stands. During the 1780s she seems to have been the wife of John Willson, a trader. He took over responsibility in 1783 for her account with Askin. 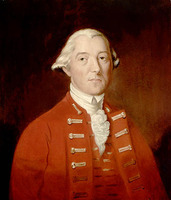 In a petition of 1789 to Governor Lord Dorchester [Guy Carleton*], Sarah Ainse tried to get title to a portion of the land she had bought from the Indians. She claimed a parcel 300 acres in front by 33⅓ acres in depth. This property lay within the area purchased from the Indians for the British government by deputy Indian agent Alexander McKee* in 1790, but she repeatedly asserted, and her statements were confirmed by a number of Indian chiefs, including Egushwa*, that her lands were exempt from this treaty. Supported by Jean-Baptiste-Pierre Testard* Louvigny de Montigny, a member of the district land board present at the treaty negotiations, McKee denied that this exemption had been intended. 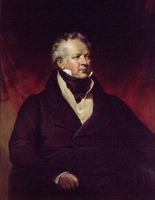 McKee was himself a major landowner in the area, as were several members of the land board who denied Sarah her claim. Moreover, the land on the Thames was perceived as the most valuable in the district. Were the members of the board simply too inflexible to accept a sale made by Indians, since the institutionalized system disapproved of such sales to individuals? Was it simply that an Indian woman stood in the way of the speculative ventures of the local élite? Why was the word of 18 or 20 chiefs discounted? 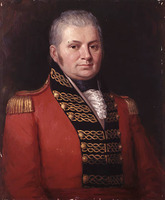 In June 1794, as a result of the influence and pressure of the superintendent general of Indian affairs, Sir John Johnson, and Mohawk chief Joseph Brant [Thayendanegea*], and of the outraged sense of justice of Lieutenant Governor John Graves Simcoe*, an order was given that she receive 1,673 acres. She now had clear title to 1.7 per cent of the amount for which she had originally petitioned, but the Executive Council nevertheless denied her claim in 1798! She received neither the land nor compensation. While she was pursuing her land claim Sarah Ainse still carried on her trading. She successfully sued several people for small debts in 1792, and when the commanding officer at Detroit tried to prevent the sale of liquor to an Indian gathering at the Glaize (Defiance, Ohio), he complained that “Sally Ainse . . . availed herself of the general prohibition, and privately disposed of a sufficient quantity to keep an entire band drunk.” She also acted as messenger and informant for Brant in the critical months after the defeat of the western Indians by Anthony Wayne’s forces at the battle of Fallen Timbers (near Waterville, Ohio) in August 1794 [see Weyapiersenwah*]. Brant wanted to maintain Indian unity against the Americans and through Sarah Ainse sent messages to Egushwa and other leaders of the western tribes. 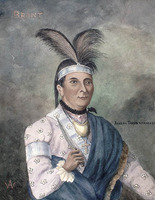 “I am much afraid that your wampum and Speeches will be to little effect with the Indians,” she advised Brant in February 1795, “as they are sneaking off to General Wayne every day.” Her observation was entirely correct: that very month a preliminary agreement with the Americans was signed. Records of Sarah Ainse’s activities after the turn of the century are scant. In September 1806, when she purchased a quart of whisky from John Askin, she was still resident on her Thames River farm. (“I don’t mean to ask payment,” Askin noted on her account.) A woman of remarkable persistence, in January 1809 she petitioned Lieutenant Governor Francis Gore* about compensation for her land claim. At that date she was living in Amherstburg. Clinging to life as tenaciously as she had clung to her rights, she survived until about 1823. Agents for the executors of Richard Pattinson, to whom she had owed money, applied on 11 Feb. 1824 for authority to administer her estate. A clearly exceptional person, Sarah Ainse was respected by native society and could function in white society. She had powerful friends and powerful opponents. The new order neither loved nor cowed her. AO, Hiram Walker Hist. Museum coll., 20–138; RG 1, A-I-6: 303–4, 638–39. DPL, Burton Hist. Coll., Detroit notarial papers, 1737–95 (transcripts at PAC). PAC, RG 1, L3, 3: A4/45; 16: A misc., 1788–1843/17–23; 14, 1. “Board of land office, District of Hesse,” AO Report, 1905. Canada, Indian treaties and surrenders . . . [1680–1906] (3v., Ottawa, 1891–1912; repr. Toronto, 1971), 1: 1–3. Corr. of Hon. Peter Russell (Cruikshank and Hunter). Corr. of Lieut. 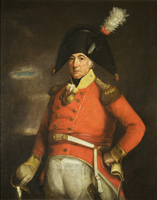 Governor Simcoe (Cruikshank). John Askin papers (Quaife). Mich. Pioneer Coll., 10 (1886); 12 (1887); 19 (1891). 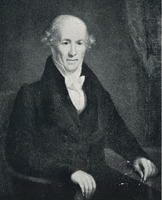 The papers of Sir William Johnson, ed. James Sullivan et al. (14v., Albany, N.Y., 1921–65). “U.C. land book C,” AO Report, 1931: 41–42. “U.C. land book D,” AO Report, 1931: 147. F. C. Hamil, The valley of the lower Thames, 1640 to 1850 (Toronto, 1951; repr. Toronto and Buffalo, N.Y., 1973). Louis Goulet, “Phases of the Sally Ainse dispute,” Kent Hist. Soc., Papers and Addresses (Chatham, Ont. ),  (1921): 92–95. F. C. Hamil, “Sally Ainse, fur trader,” Algonquin Club, Hist. Bull. (Detroit), no.3 (1939). John Clarke, “AINSE, SARAH,” in Dictionary of Canadian Biography, vol. 6, University of Toronto/Université Laval, 2003–, accessed April 20, 2019, http://www.biographi.ca/en/bio/ainse_sarah_6E.html.